Recently I was performing an integration between Microsoft Lync Server 2013 and an Alcatel OmniPCX phone system at a customer site. The existing PBX already had an element of VoIP via a separate platform called OpenTouch which allowed users to have multiple devices associated with a single extension. For an unknown reason when calling OpenTouch users via Lync Server 2013, which caused the call to be sent to an AudioCodes Virtual E-SBC and then onto the Alcatel PBX via a direct SIP trunk, the users handset would not ring. After working with the customers Alcatel vendor, it transpired the OpenTouch platform did not like INVITE’s that were sent with a from destination of +441234567890;ext=7890 for example, and the ;ext= element was causing the issue. In order to remove this aspect from an INVITE the ;ext= element needed to be stripped from the INVITE header using a Message Manipulation on the AudioCodes E-SBC, as with Sonus devices a regular expression is required in order to remove any parts of an INVITE we do not need. On an AudioCodes devices running version 6.8 of the firmware, the following was performed. 1. When logged into the device and expand VoIP -> SIP Definitions -> Msg Policy & Manipulations and then select Message Manipulations. 2. In the Message Manipulations table, click add and provide an Index number, such as 1 if this is your first manipulation and then proceed to configure the manipulation as per the provided screenshot below. 3. To understand how Message Manipulation works, in the condition section this where we look for specific information within the INVITE. In this case we are using a regular expression to place each part of the INVITE header into a variable. For example the (. *) part of the condition places the value into variable $1, this would be the +441234567890 part of the number only, the next part of the regular expression (;ext=) would be placed in variable $2 which would only be the (;ext=) part of the header and so on and so forth. By placing each part of the header into variable we can then control the manipulation by specifying an Action Value, this Action Value constructs the header using only specific parts that we wish to use. For example, to gain a result that removes the ;ext= element, we would use $1 (+441234567890) and then $4 (@) and then $5 (domain.com) to construct a header that displays +441234567890@domain.com. 4. Once this is complete, expand VoIP -> VoIP Network -> IP Group and then edit the IP Group you wish to apply the message manipulation to. When the properties of the manipulation opens, enter the Manipulation Set ID that you entered in step 2 into either the inbound or outbound manipulation set ID dialog boxes depending on the direction in which you need to apply the manipulation, as illustrated below. That’s it, when performing a debug trace on the gateway you should now see the ;ext= element has now been removed from the INVITE header. 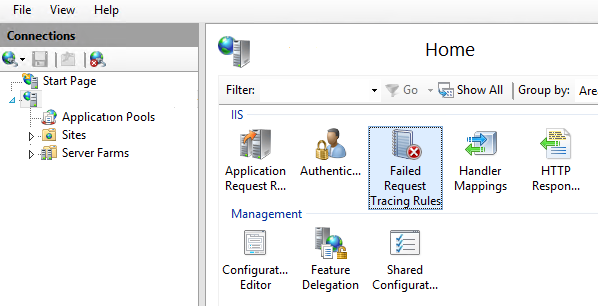 The Access Edge Server failed to import a shared session key due to invalid signature. In the past 1 minutes, the server rejected 1 shared session keys presented from the network due to an invalid signature. This suggests an incorrect certificate configuration. A large number of failures could indicate spoofed session key data sent by an attacker. Cause: This is most likely to be a configuration problem in a server array. 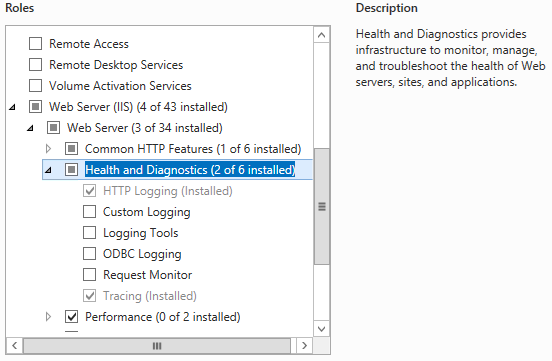 Resolution: Ensure that all servers in an Access Edge Server Array have the same certificate configured for the external IP address on the Edge Interfaces tab. Inspect the serial number of each certificate. If the problem persists, use the Administrator Log to help identify the source of these messages. Upon reading the error this immediately prompted me to inspect the certificate via the certificates MMC snap-in and upon reviewing the new SSL certificate everything appeared to be correct, the certificate chain was reporting as valid as was the private key. In this customers case a GoDaddy SSL certificate had been procured and while the certificate chain stated the implemented certificate was trusted, it transpired an intermediate GoDaddy certificate was missing. On adding the missing intermediate certificate into the Local Computer certificate store, which was also included in the downloaded certificates .zip file, the audio calling issue was resolved. In summary, always check intermediate SSL certificates for your chosen provider, specifically if you are not utilising one of the bigger SSL vendors such as VeriSign or Digicert. Hope this helps! OCS	Audio Call, Consolidated Edge, GoDaddy, Lync 2013, Microsoft Lync Server 2013, SSL, SSL Certificate, The Access Edge Server failed to import a shared session key due to invalid signature., This is most likely to be a configuration problem in a server array. 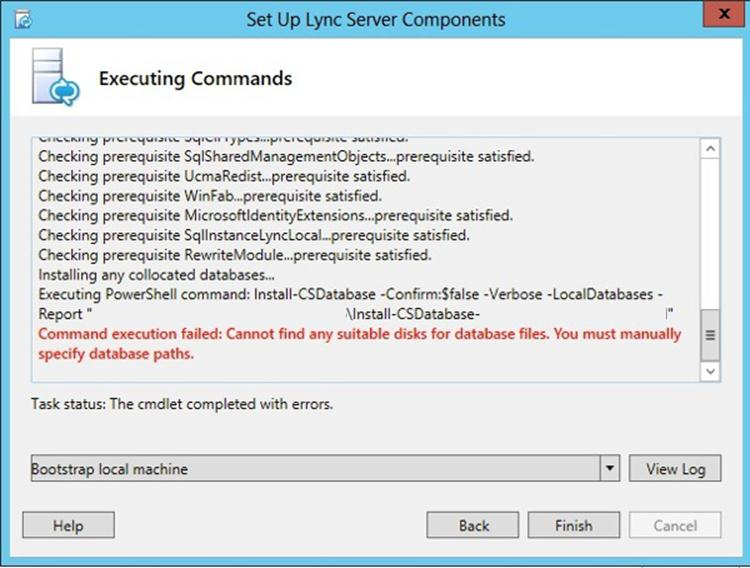 I recently deployed a Microsoft Lync Server 2013 infrastructure for a customer running Microsoft Exchange Server 2007 SP3, and while this version of Exchange Server is supported it should be noted there are a few additional amendments that need to made in order to make UM Auto Attendant key mappings to Lync extensions work correctly. Following the typical UM integration through the use of OCSUMUtil.exe and ExchUMUtil.ps1, all Unified Messaging functionality seemed to be working correctly, including dial by extension. It wasn’t until a key mapping was added to an Auto Attendant to transfer a call to a specific Lync extension, did I see an issue. When calling the attendant and pressing one for example, which was directed to extension 319, the Unified Messaging service would produce the following error and the attendant would tell the caller “The call could not be transferred”. If you are using a version of Exchange that is earlier than Microsoft Exchange Server 2010 SP1, you must enter the fully qualified domain name (FQDN) of the corresponding Exchange Unified Messaging (UM) SIP dial plan in the Lync Server 2013 dial plan Simple name field. If you are using Microsoft Exchange Server 2010 SP1 or latest service pack, this dial plan name matching is not necessary. In order to resolve the key mapping issue the following was performed. 1. Connect to the Lync Server 2013 control panel and click Voice Routing and then select the Dial Plans tab. 2. Double click the “Global” dial plan to edit it and in the Simple Name dialog box, remove the word Global and replace it with the name of your Exchange Unified Messaging dial plan followed by your internal Active Directory domain name. For example, if my UM Dial Plan name was “DefaultUM” and my internal domain was “company.local”, I would enter DefaultUM.company.local into the Simple Name field. That’s it, hopefully your Auto Attendant key mapping issues to Lync extensions will now be resolved. I recently performed a Microsoft Lync Sever 2013 migration and following this process I noted that Lync 2013 clients connecting from external networks were continually prompted for Outlook authentication in order to retrieve data from Exchange Web Services (EWS). After investigating the issue, it appears this occurs when utilising forms based authentication for the /Autodiscover/* and /EWS/* virtual directories when utilising an SSL web listener in Forefront TMG 2010. In order to resolve the issue a separate global IP address was obtained and assigned to a web listener that does not perform any pre-authentication and simply passes the authentication request directly to Exchange Server 2010. The reason a separate global IP address and web listener was utilised, is that should you be using a single web listener for all Exchange services you will need to disable forms based authentication for OWA, Outlook Anywhere and Exchange ActiveSync, in most environment this would not be a desirable approach, however using a separate listener purely for autodiscover and EWS satisfies most security requirements. The following steps were performed in Forefront TMG 2010 to resolve the issue. 1. In Forefront TMG 2010 right click “Firewall Policy” -> “New” -> “Exchange Web Client Access Publishing Rule”. 2. When the wizard invokes enter a name for the publishing rule such as “Exchange Web Services” and click Next. 3. On the select services page click the drop down item and select the appropriate version of Exchange Server for your environment, and then check to select “Outlook Anywhere (RPC\HTTP(s))” and then also select “Publish additional folders on the Exchange Server for Outlook 2007 clients” and then click Next. 4. On the Publishing Type page ensure that “Publish a single website or load balancer” is checked and click Next, on the following Server Connection Security page select “Use SSL to connect to the published web server for server farm” and click Next. 5. On the Internal Publishing Details page in the Internal site name dialogue box enter the fully qualified domain name of your Exchange Client Access Server and then click Next. 6. On the Public Names page enter the the fully qualified domain name used for external autodiscover, for example autodiscover.domain.com and then click Next. 7. On the Select Web Listener page click “New” and then enter and appropriate name for the listener and click next, on the following page select “Require SSL secured connections with client” and then click Next. 8. On the Web Listener IP address page, click External and then “Select IP Addresses” and continue to select the new global IP address that is to be used for Exchange Web Services and then click Next. 9. On the Listener SSL Certificate page click “Select Certificate” and then choose your third party SSL certificate for Exchange Services, this certificate must include the subject alternative name of autodiscover.domain.com, once selected click Next. 10. On the Authentication Settings page click the drop down item and select “No Authentication” and thenclick next and then next again past the Single Sign On page and the click Finish. 11. Back in the main publishing rule wizard, ensure the newly created listener is selected and then click Next. On the Authentication Delegation page click the drop down item and select “No delegation but client may authenticate directly” and then click Next, on the following User Sets page click Next and then Finish to create the publishing rule. 12. Once the rule has been created right click it and select properties and select the paths tab and remove the /OAB/* and /rpc/* entries and click OK. Following this change click Apply on the Firewall Policy page and wait for the TMG configuration store to update accordingly. 13. The Exchange Web Services rule is now created, and should look like the following as detailed below, please click to enlarge. 14. If the publishing of the rule has applied correctly, when connecting with your Lync 2013 client externally you should now longer be continually prompted for Outlook credentials and additionally under the configuration information section of the client, which can be accessed by holding down the control (Ctrl) key and then left clicking the Lync 2013 task tray icon and selecting “Configuration Information”, the EWS status should now say “EWS Status OK”. That’s it, hopefully your EWS external access now works as intended.